Medical malpractice occurs when a healthcare provider’s negligence leads to a patient’s injuries. If you can prove you have a medical malpractice case, you may be able to recover certain damages. However, in any legal situation, you will face certain limitations. Two such limitations are in regard to time and awards. If you think you have a medical malpractice case, you should be aware of the limitations set forth by Florida law. In this article, we will explore those limitations so that you may be better prepared when it comes time to file your lawsuit. If you think you have a medical malpractice suit, you must initiate the lawsuit within two years of discovering the injury. At the latest, you may be able to file the lawsuit within four years of when the medical malpractice should have occurred. If you do not discover the injury within a four-year period, and if you attempt to initiate a claim, your case will be thrown out. There are special limitations for cases in which the healthcare provider attempts to conceal the malpractice. In these cases, you have two years from the time you discover the malpractice or seven years from the time the malpractice happened. If the case involves a minor before their eighth birthday, the statute of limitations will not apply. If you plan to file a medical malpractice lawsuit, you need to follow certain procedural steps. Failure to do so will result in delays. This could cause you to miss the statute of limitations. You must first give the healthcare provider notice of your intent to sue, and you must obtain an affidavit from a third-party medical professional to prove you have a valid claim. The healthcare provider will be given 90 days to decide whether or not he or she wishes to settle the claim. If he or she does not want to settle, you will have 60 days or up to the remainder of the statute of limitations to initiate a lawsuit. 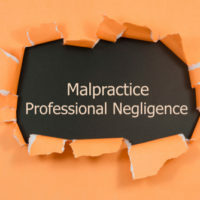 Prior to June 2017, Florida law placed caps on the amount of damages an individual could recover from a medical malpractice lawsuit. The cap was set at $500,000 for non-economic damages, which includes pain and suffering. The cap was set at $1,000,000 if the malpractice resulted in death or a vegetative state. The Florida Supreme Court has since ruled these limitations unconstitutional. If you believe you have a medical malpractice case, you need to make sure you follow the procedural steps. You will need to speak with a third-party medical professional. You will also need to contact a medical malpractice attorney. The right attorney will be able to help you figure out how to navigate the process. You could be entitled to certain damages if you can prove your case. Spencer Morgan Law has the experience and expertise to help you get the compensation you deserve. If you think you have a medical malpractice case, contact us today.